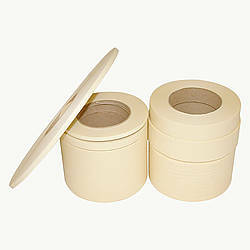 - Choose Size - 1/2 in. x 60 yds. 3/4 in. x 60 yds. 1 in. x 60 yds. 1-1/2 in. x 60 yds. 2 in. x 60 yds. 3 in. x 60 yds. 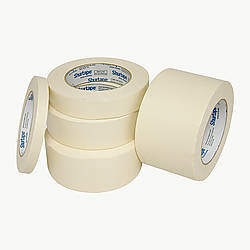 If you are looking for masking tape in sizes greater than 3 inches wide by the case please see JVCC MT-01. 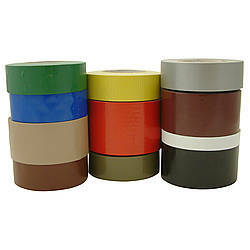 Shurtape CP-106 Economy Grade Masking Tape is an economy grade high adhesion crepe paper masking tape with thermoplastic rubber adhesive. 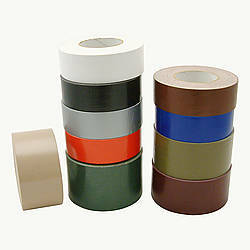 Designed for general purpose packaging, bundling, holding, splicing, masking and labeling for home, school and industry. 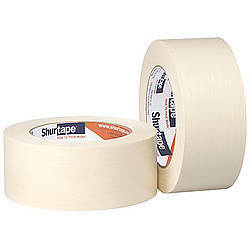 Offers a patented thermoplastic adhesive that allows a 100% surface contact area to the substrate with clean removal properties. 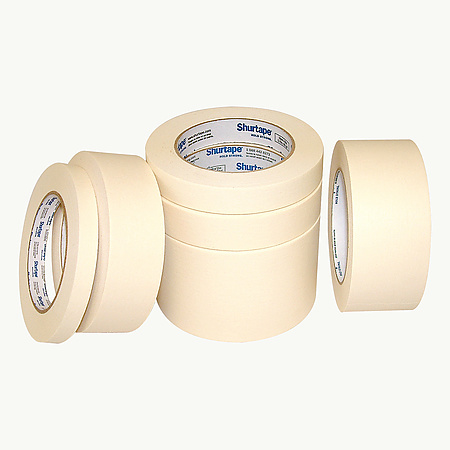 Shurtape CP 106 has good performance on a variety of substrates, excellent quick stick and holding power on cardboard, and exhibits good low-temperature properties. Shurtape CP 106 has higher adhesion than Shurtape CP 105 and is a favorite among sub and sandwich shops. 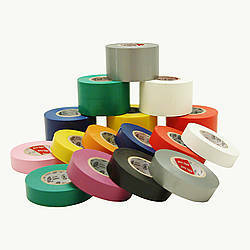 This tape is also used to mask windows. 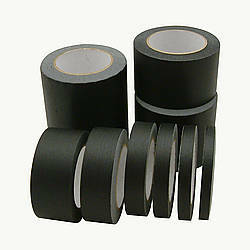 Made in the U.S.
Adhesive: thermoplastic rubber How are adhesives different? 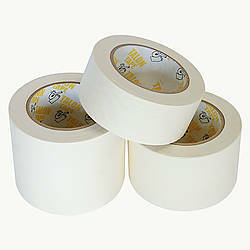 Thickness: 4.8 mils (carrier, adhesive) What is mil thickness?